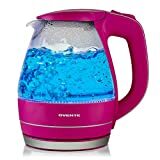 Pink Tea Kettles: What a Wonderful Dash of Color to your Kitchen! You’ll find a tea kettle graces the stove top and electric in most homes and one of the newest trends is pink tea kettles. Pink Soft and romantic color is perfect to look at as you prepare a relaxing cup of tea. You’ll find that many of today’s premier tea kettle manufacturers produce pink tea kettles for stove top and electric. Some of the most popular brands include Reston Lloyd, Le Creuset, and Oggi. While most will work quite nicely, there are a couple that stands out. 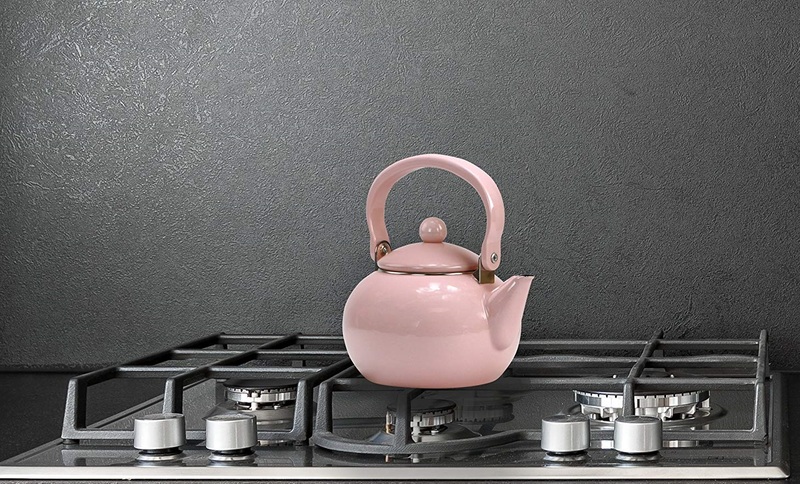 These pink tea kettles are very feminine, pretty, and can lend a soft accent to any kitchen. Dimensions: 9 x 9.3 x 8.3"
Dimensions: 9.4 x 6.7 x 9.9"
Dimensions: 8.2 x 7.5 x 9"
Dimensions: 16.2 x 7 x 9.5"
Package Dimensions 10.1 x 8.2 x 7.8"
Dimensions 10.4 x 8.1 x 8"
Dimensions 9 x 7.75 x 9.25"
Dimensions: 8.9 x 6.73 x 9.76"
Reston Lloyd Harvest Tea Kettle: This is one of the more popular brands and is a beautiful shade of pink. Tea kettles in the Calypso Basic line are available in the two-quart size. Made from stainless steel with a pink enamel coating, it’s a nice addition to any stovetop. 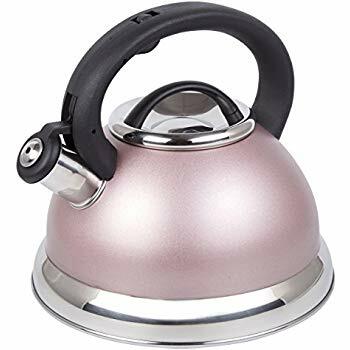 These pink tea kettles may be used on electric or gas stoves, but should not be used on an induction cooktop. The most common complaint is that handle feels rather cheap when compared to the kettle. 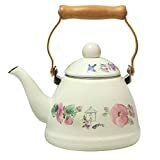 This teapot will run about $23.00 without shipping online. 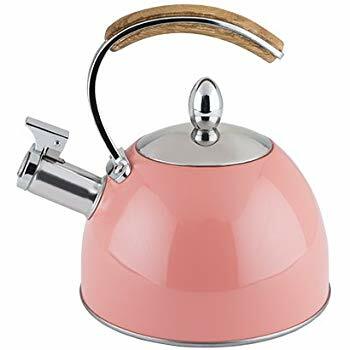 Le Creuset Whistling Pink Tea Kettle:What a beautiful tea kettle! However, it’s also very functional. It has a unique locking handle that makes it easier to lift and pour. It’s made from heavy steel and a pretty, glossy enamel. The whistle is loud enough to let you know the water’s hot, but not ear piercing. This 1.8-quart tea kettle is perfect for most kitchen. 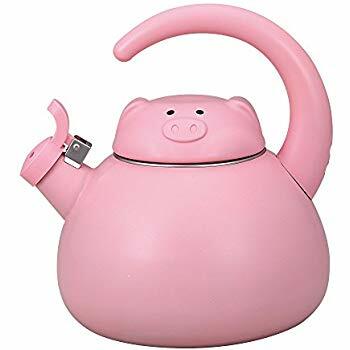 Prices start around $65 for this impressive pink tea kettle! 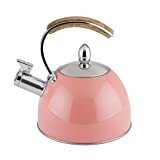 Oggi Stainless Steel Pink Tea Kettle:These are cute pink tea kettles with a 2-quart capacity. The Backlight stays cool handle keeps you from burning your fingers and it may be used on either gas or electric stovetops. With the whistling feature, you will always know when your water’s ready. Pricing for this model starts around $22 without shipping. 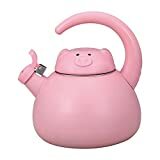 These are some of the most popular pink tea kettles available today. There are several others that feature pink accents or flowers. 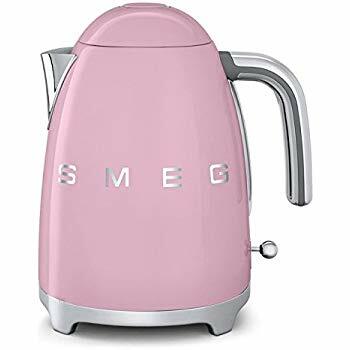 KitchenAid Cure for the Cook pink tea kettle has a stainless steel finish but is accented with pink silicone on the handle and spout. Five dollars of every piece sold goes to support the Susan G. Komen Breast Cancer Foundation. 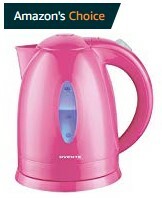 If pink is your color, then you will simply love these new pink kettles. There are several matching kitchen accessories, such as trays, spoons, trivets, and even small appliances. Your entire kitchen can easily be accented with pink. Create a unique look that will highlight this soft, romantic color. Add in a few pink teacups and you’ll have a beautiful tea service waiting for company! PREMIUM Heat resistant STOVE TOP SAFE Glass Kettle Tea Pot TEAPOTS 800ml NEW! 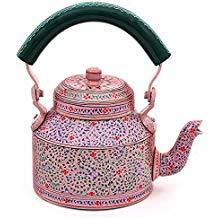 In order to improve the performance of your pink tea kettles, make sure you don’t leave water in the kettle when it’s not in use. This can cause mineral deposits to build up, which can line the bottom of the kettle. Empty it after every use to prevent this from happening. Most tea kettles should be washed by hand, rather than put in the dishwasher. This is especially true for those with an enamel coating. You may damage the enamel. 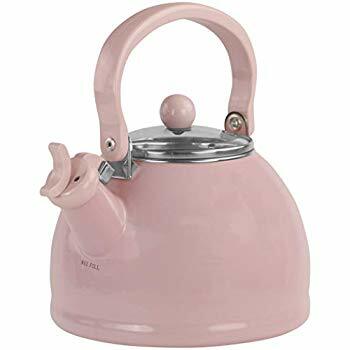 Instead, wipe the outside with soap and water to keep your pink tea kettle looking as good as the first day you received it. Use caution when serving from your pink tea kettles. You can easily chip and crack your kettle and your teacups if you allow the kettle and the cup to meet when pouring. 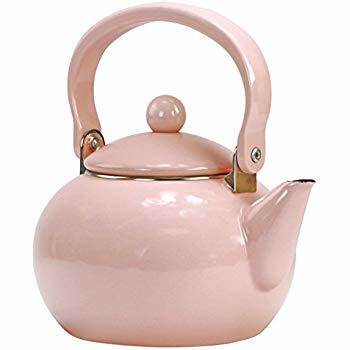 If you are purchasing a used pink tea kettles, the spout is one area you should examine carefully. 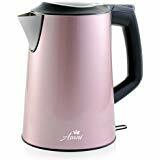 An electric tea kettle Pink uses about 40% less energy to boil water than a kettle on an electric range element. Because the kettle’s heating element sits right in the water, it is more energy efficient. Also, you can save energy by boiling only the amount of water you need. 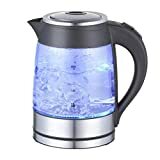 The latest advance in electric water kettle technology lets you do just that. It’s an energy-saving kettle that allows you to boil exactly the amount of water you want. With traditional electrical kettles, there is tremendous wastage of electrical energy, water, time and of course, your money. You know how it is – you arrive home, dying of thirst and just can’t wait for a nice cup of tea or a hit of instant coffee to revive you. You grab the kettle, flip on the tap and guess how much water you’ll need. Sometimes you get it spot on, but mostly you either don’t put in enough water so you end up with a tiny half-cup of tea or coffee and have to re-boil. or you overfill it and you leave boiled water in the kettle – water that has cost you money to boil (and it really adds up! ), water that you’ve had to wait and wait for it to boil, and water that is lost – boiled away and wasted unnecessarily.